I recall with amusement an interesting day I spent last spring, when the boys in my Scout Troop went up to go have a day up at Diamond Peak, a Ski and Snowboard area up on the North Shore of Lake Tahoe. It was interesting because, as they were all getting together to decide what they wanted to do, I noticed something I never thought I'd see in my lifetime... twelve boys looking at equipment, some boys getting skis, some boys getting snowboards... and none of the boys sniping at each other about what they were using. This isn't going to make any sense unless I back up a bit. Back in the early 1980's, very few places allowed snowboards. In fact most of us who grew up on skis in the 70's never even saw a snowboard (Burton started making the first branded snowboards in 1977). In the 80s a few of the smaller mountains started to allow them but seeing them on a big resort mountain was practically unheard of (they were mostly backcountry in those days). That all changed in 1990, when Squaw Valley became one of the first full service big destination mountains in the USA to allow snowboards without restriction. The whole mountain was open to snowboards and snowboarders, and the floodgates of complaints opened, and the culture war started. And with that, (and association with people who were inveterate snowboarders), I joined their ranks. I started riding, and after awhile, I became obsessed with it. Not just snowboarding but the whole "movement" of snowboarding. It was almost like I was part of a political faction. Forget Democrat or Republican, I was a "snowboarder", man! Any mountain that was anti-snowboard, I disassociated with. Any mountain that was pro-snowboard, I gave my money and allegiance. I really didn't look to carp or cop attitude to skiers, and a part of me wanted to find a way to just show that we were responsible riders and we could share the same space, but the more derision we received from skiers (and believe me, in the early 90s, we received derision) the more committed we became. At some point towards the end of the 90s, we looked to have won the war. Snowboarders on a typical Tahoe day outnumbered skiers, the gear and the craft of riding had gone through the roof, and it was like we owned the place. Then a funny thing happened. We grew up. We had kids. We developed careers and other things to focus our attention on. And of course, we taught our kids our love of the sport of snowboarding, but somehow we managed to skip the vitriol, or at least that's how it seemed to my eyes. I'm not saying that there is no animosity between skiers and snowboarders, but among this next generation, choice of equipment just doesn't seem to matter all that much. Maybe it's because skiing liberally borrowed from snowboarding and developed parabolic skis. Maybe it the fact that more kids are cross discipline, but it just doesn't seem to matter what you have strapped on your feet, as long as you are having a good time on the hill. Sometimes when I look at the software testing industry, I still feel a bit like I'm in the skier vs snowboarder debate. If you are a context drive tester, does that make you a snowboarder? If you are an SDET, does that make you a skier? If you are Agile, does that mean you Telemark (and really, check out a Telemark skier, they put all of us regular run of the mill skiers and snowboarders to shame). Is it worth arguing about it? Does it really matter all that much? Sure I have my preference with regard to context driven testing, but does that mean someone from another discipline is unable to do good work, to contribute to the overall discipline, to basically make their way down the hill? What of us who hybridize our approaches. Is a Parabolic skier somehow not as pure? How about a hardboot snowboarder (which I do from time to time, and because of my broken leg and hardware, I may have to do a lot more often, if not permanently). I think there is benefit to not being rigidly aligned with any of the schools, as there are skills and opportunities that are better suited to each discipline. In my kids world view, they don't care what you have on your feet, just that you want to get down the hill. 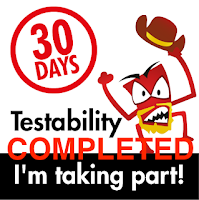 Will we ever get there with testing? Time will tell, I guess :). I was one of the few female skateboarders. I remember when they made it illegal in many places because some people were not trustworthy. I feel like some of that has happened with testing. Instead of great ET happening along with tools & automation, it's been made illegal and seen as renegade activity. I'd like to see the ability to be all of the above, or none of the above. 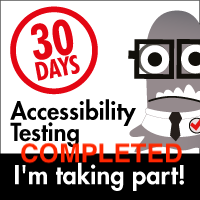 As long as you are contributing to the greater body of total testing knowledge, you are still useful in my eyes.